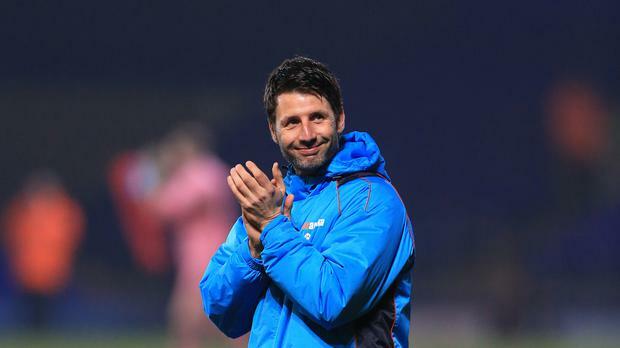 Danny Cowley and his Lincoln team will aim to "achieve the impossible" again when they take on Burnley this weekend but the Imps boss believes their FA Cup run - whenever it ends - will stand the club in good stead for the future. Cowley has guided National League leaders Lincoln to the fifth round for the first time in 130 years and at Turf Moor on Saturday they will attempt to become the first non-league side to reach the quarter-finals since the competition's current format was instigated in 1925. Lincoln have seen off higher league opposition in the shape of Oldham, Ipswich and Brighton already. In the build up to the Ipswich replay, Cowley compared his team's chances to ''climbing a mountain'', while beating Brighton was viewed as ''getting to the moon". The Imps will face their biggest task to date when they take on Premier League Burnley. ''We've achieved the impossible to get here, we've just got to go and do it again,'' said Cowley, who was at Turf Moor last weekend to watch Burnley's 1-1 draw with Premier League leaders Chelsea. ''If we're realistic, we'd probably only beat them once in a hundred times but we've to go into the game believing this is that one game, that one opportunity, in a hundred because without belief we have nothing. ''We're going to make sure we give the very best version of ourselves and try to match the commitment of our supporters who have been queuing up all night to get tickets. Should Lincoln's historic cup run come to an end on Saturday, Cowley believes the experience bodes well for the future. He said: ''I can't tell you how much this run has developed Nicky (Cowley, brother and assistant manager) and I and the players. Lincoln have no new problems ahead of the tie and o nly long-term absentee Lee Beevers (knee) will miss out through injury at Turf Moor. Joe Ward, on loan from Brighton, was ineligible against his parent club in the last round and fellow winger Josh Ginnelly, on loan from Burnley, is cup-tied having already played in the competition during a previous loan spell at Walsall. The Imps sold striker Theo Robinson at the end of the January transfer window after he scored seven goals in their cup run. Cowley has since signed Dayle Southwell on loan from Wycombe as a replacement.